Arnold Randall is the General Superintendent of the Forest Preserve District of Cook County (“FPDCC”). Mr. Randall was appointed to the position by FPDCC Board President Toni Preckwinkle on December 15, 2010. Mr. Randall previously served as Director of the Office of Civic Engagement at the University of Chicago, where he helped plan and coordinate major public projects undertaken by the University, working as a liaison between the University and the City, neighbors, and other concerned parties. 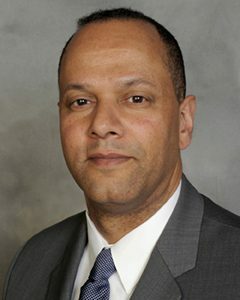 He was also a key part of the Chicago 2016 Olympic Bid Committee’s community outreach team and previously worked as Commissioner of the City of Chicago’s Department of Planning and Development, where he directed the department’s leadership responsibilities for promoting economic development in Chicago by assisting new and existing businesses meet their goals for growth while creating new jobs for city residents. In addition, Mr. Randall has served in a number of roles with the Chicago Park District between 1995 and 2007, including Lakefront Area and South East Region Manager, Director of Planning and Development and Director of Legislative and Community Affairs. Mr. Randall holds a Bachelor of Arts degree in Political Science from the University of Illinois at Chicago and attended the University of Chicago’s School of Social Service Administration. Mr. Randall has been active in numerous civic and professional organizations, including Chicago Community Development Commission (serving as the chairman), The Chicago Plan Commission, Commission on Chicago Landmarks, the Woodlawn Children’s Promise Community, Woodlawn New Communities Program (NCP), American City Planning Directors’ Council, American Planning Association, Illinois Parks and Recreation Association (IPRA), the National Recreation and Parks Association (NRPA), the South East Chicago Commission (SECC) Executive Committee, the Harper Court Foundation Board, and the 53rd Street TIF Advisory Board.